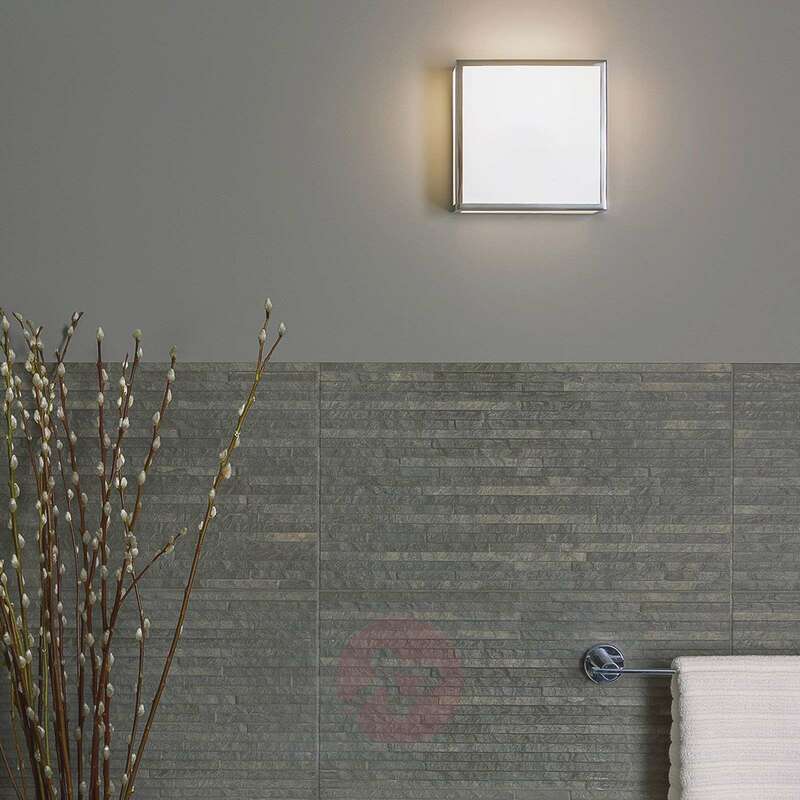 The attractive Mashiko bathroom ceiling light has a flat, square design. A polished, chrome-plated metal frame stabilises the attractive white glass which provides glare-free lighting. Thus, the timeless design of this ceiling light fits perfectly. 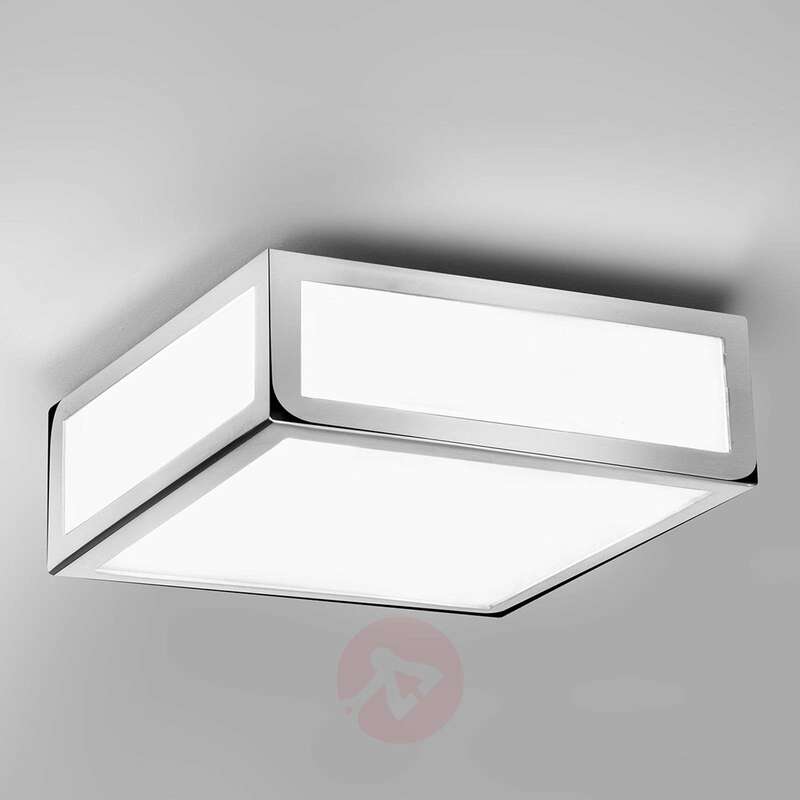 The ceiling light can also be dimmed for mood lighting.